Grandpa Lolo lives on a ranch in northern New Mexico. 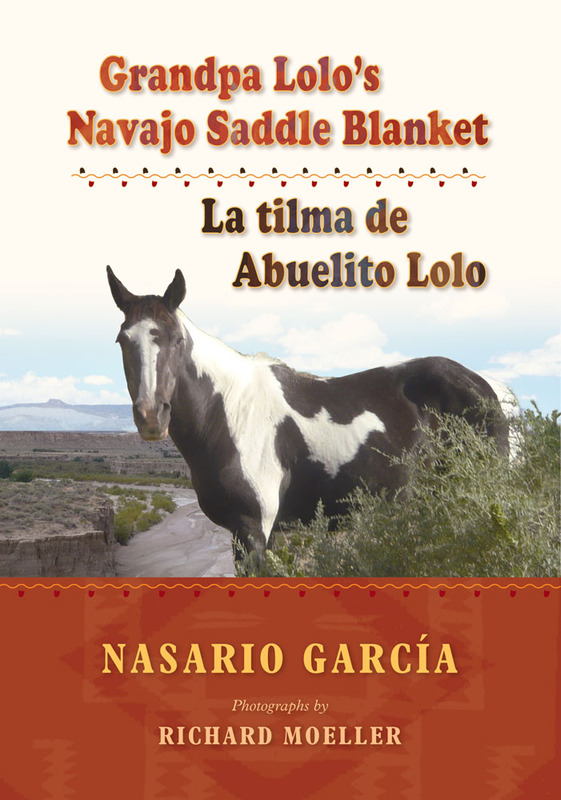 When he buys a black-and-white horse named Zorrillo (skunk) from Manuelito Yazzie, a Navajo who lives in a hogan in Torreón, Manuelito throws a tilma, a beautiful Navajo saddle blanket, into the deal. And so begins a beautiful friendship. Richard Moeller, a retired engineer and Santa Fe resident, has been photographing archaeological projects for the National Park Service for the past twelve years. His photographs appear in books and papers published by the archaeologists with whom he works.